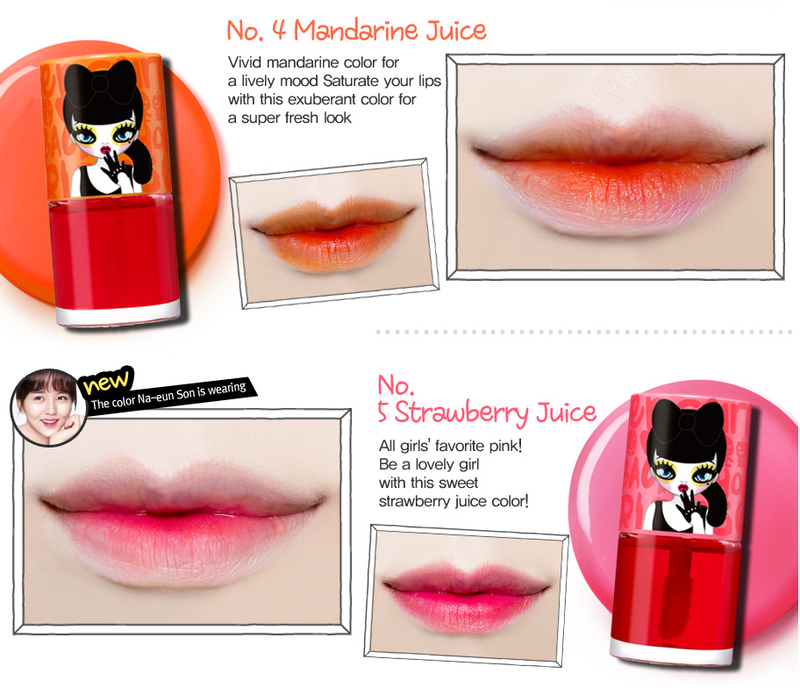 Lovely & natural looking lip makeup.Water type, Stickiness-free, Long lasting. 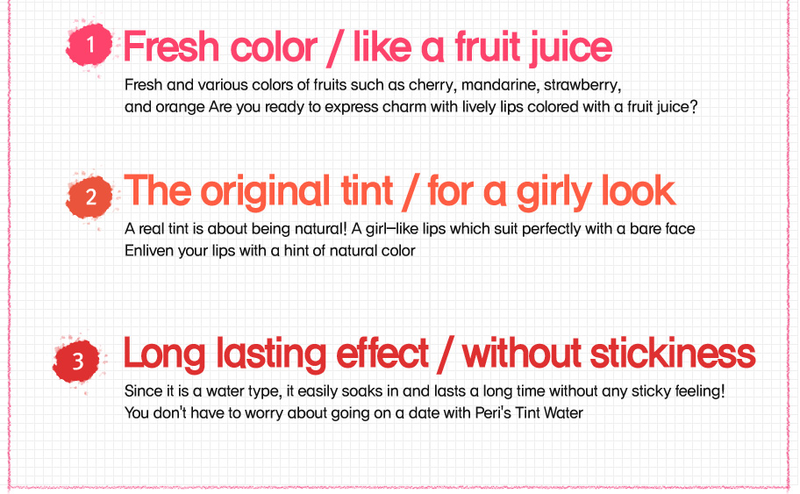 Radiant your Skin Care with the [Peripera] Peris Tint Water #03 Orange Juice! we aim to provide you best korean products to take good care of your skin, including Cosmetics, Makeup, Lip Tint. Hydra Lip Tint online. Fresh color like a fruit juice. 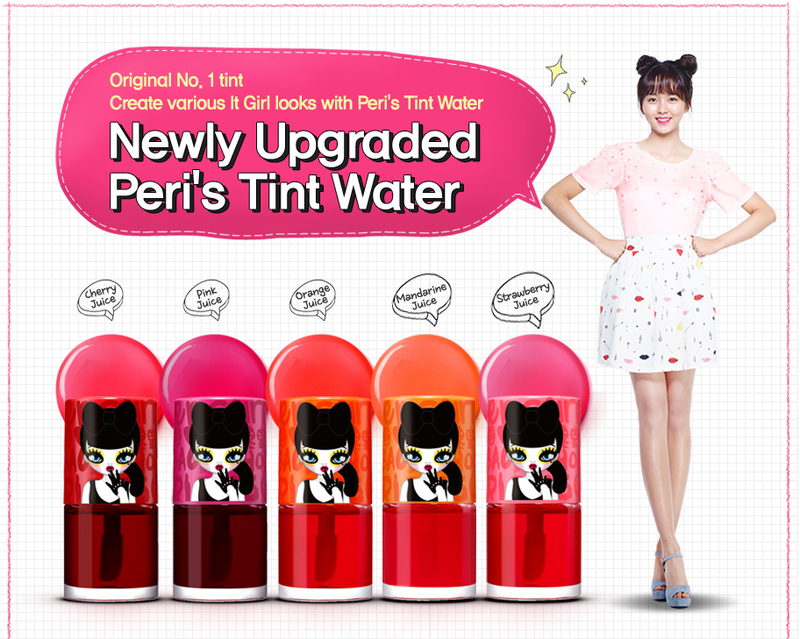 The original tint for a girly look. Long lasting effect without stickiness. Smoother and reaches lips tenderly. Purified water , methyl glutaric access -20 , Butylene glycol , propylene glycol, glycerin, ethanol , blood not suited -60 dihydro jeneyi castor oil , Red No. 40 , glyceryl polymethacrylate , Red No. 2 , phenoxyethanol , di potassium series glee Jay agent , benzophenone -9, methyl paraben, butyl paraben, echil paraben, isobutyl paraben, propyl paraben , fragrance , red No. 218 , cherry extract, camellia extract, Western rose flower extract, raspberry extract , sheep cherry fruit extract, orange extract. One of my favorite liptints. I bought the "orange juice", and It looks so good on my lips.